Definitive Town Hall approval for Marbella’s new urban development plan, the PGOU, is expected by the end of this year, but it’s almost certain, Opinión de Málaga reports, that once that happens, a group of 3,000 local residents will be taking legal action against the plan’s content. The group’s lawyer, Inmaculada Gálvez, told the newspaper that her clients have instructed her to contest the plan in the courts should the text as it currently stands be approved by the Town Hall. The document has been on public display on two occasions and, during that time, has received more than 8,500 arguments against its content. The plan hopes to legalise more than 17,000 illegal properties, and what has generated a large amount of criticism is the system of compensation which will be used to bring them into legality. 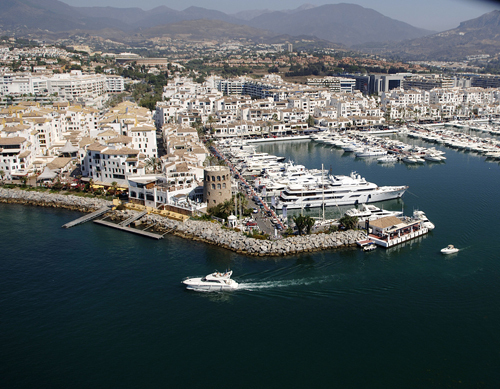 The 3,000 residents who will likely be taking legal action are understood from La Opinión to be the owners of legal properties who have been detrimentally affected by the planning irregularities in Marbella. Their lawyer is against the amnesty which would be granted under the plan, which she said means that 40 firm court sentences for illegal properties would, in effect, count for nothing. Gálvez described the Town Hall’s argument that it would be absurd to demolish a property which will be made legal under the new urban plan as a ‘serious fraud of the system’. The Andalucía High Court recently over-ruled a Town Hall order to suspend demolition of part of the property owned by the Málaga actor, Antonio Banderas, in Marbella’s Los Monteros until the new PGOU comes into effect. The house would have been made legal under the new urban plan, but the court decided to accept the appeal placed by the Community of Owners at Los Monteros urbanisation, represented by their lawyer, Inmaculada Gálvez.